Beside public architecture such as non commercial buildings (schools, court houses, shops) we also focus on the tourism and resort sectors (hotels, residential villas, and tourist complexes). 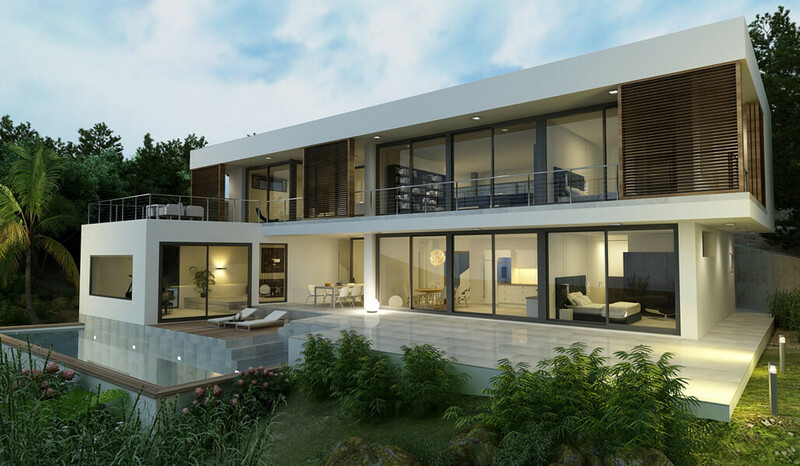 Outside Spain, since 2004, we have specialized in exporting “Marbella Design and Lifestyle” and we have succesfully undertaken projects on the Black Sea coast in Bulgaria. In the Emirates (Abu Dhabi and Doha, Qatar) we will begin our first projects in 2009. Holiday resort Byala Bulgaria (15.000 m2 constructed area): 92 Luxury apartments with ample facilities including spa, gym, supermarket, restaurants, open green areas and pools. It has been recognised by the Russian real estate association as one of the three best resort projects on the Bulgarian Black Sea coast. It is presently under construction. Holiday resort close to Varna in Bulgaria (24.000 m2 constructed area): 188 Luxury apartments with their correspondingly ample resort facilities. Building license (issued January 2009). Construction is estimated to begin in May 2009. German School Malaga: A study project for school sport facilities, constructed area of 7.000 m2, commissioned by a German-Spanish foundation. Court House Estepona (900 m2 constructed area): The court house of Estepona was repeatedly renovated between 2005-2008. In total 5 chambers (civil and criminal law) as well as the civil registry office of Estepona were planned and constructed. After termination of the court house in Estepona, bühler & partners participated in the competition for the Marbella Court House. Hotel Antequera (5.600 m2 constructed area): 80 suites, with ample exterior facilities. Presently in planning. Golfclub Benahavis (3.500 m2): Clubhouse, administrative offices, restaurant and shops. Terminated 2002. Residential and Commercial Building Tarifa (4.300 m2): Residential and commercial building including surfer shops. Construction started in June 2008.